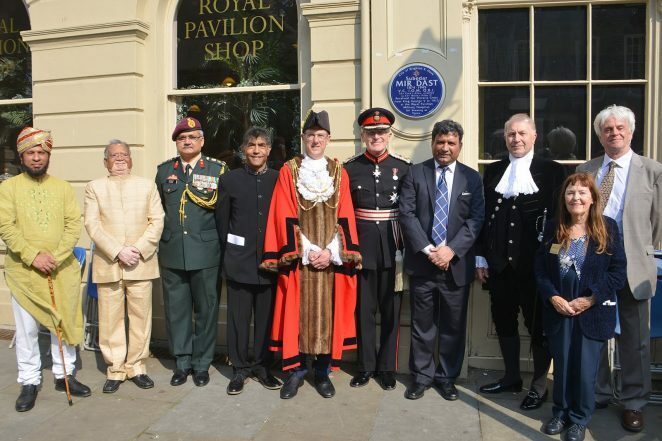 This weekend a blue plaque was unveiled close to the India Gate in a ceremony to celebrate the memory of Mir Dast, the only Indian soldier to receive a Victoria Cross from King George V.
Like many of his WWI comrades, Mir Dast was treated for his injuries in the Royal Pavilion, where he was also presented with his medal by the King. He was awarded this high honour for his bravery at Ypres in Belgium, when under heavy fire, he rescued eight wounded British and Indian officers. 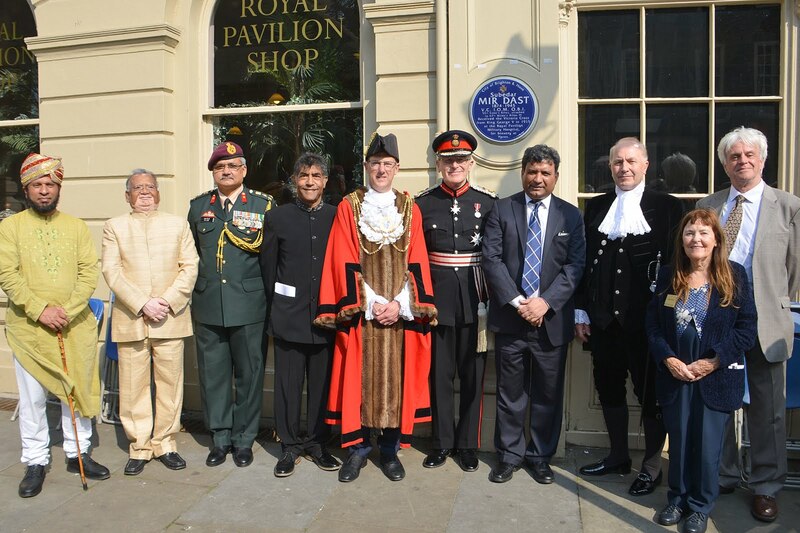 Amongst those attending the ceremony was Davinda Dhillon who organised the funding of the plaque, the Lord Lieutenant of East Sussex, Peter Field, the High Sheriff of East Sussex, Michael Foster, Deputy High Commissioner of India, Dr Virander Paul, and the Mayor of Brighton and Hove, Councillor Pete West. I am there on the first left in the picture. I am the chair of Multicultural group Brighton and Hove.